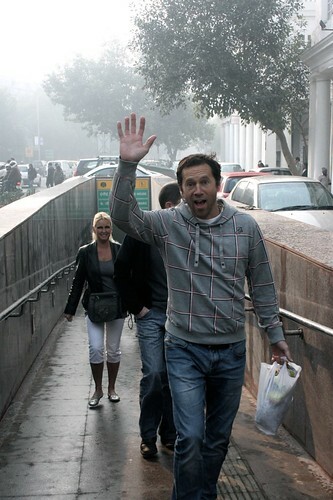 Four hours in Delhi’s premier shopping district. Connaught Place, aka CP, Delhi’s Colonial-era shopping district, is changing rapidly. Old landmarks are giving way to new. Under extensive renovation in 2010, CP is returning to normalcy in 2011. More restaurants are coming up. New subways have been opened. The character of the new CP is less formal than the older version. There are more places to hang out at. Since the market is very large, The Delhi Walla will focus on Janpath, Regal and the N-Block area. In this limited tour, I’ll tell you only about those places that came up in 2010 or were, at least, given a new look. Don’t be disheartened. You’ll still find opportunity to eat, drink, make music and even get our eyebrows done. Start with Blues Cafe and Bar. The cafe opened in December, 2010. It came up where the south Indian restaurant Banana Leaf stood, though the same company owns both. 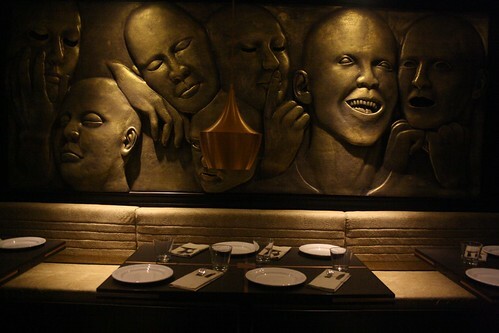 The dim-lit place has artsy panels, a loungy setting, country music, and a menu that is traditional and varied: English Shepherd Pie (Rs 375 plus taxes) and Moroccan spiced eggplant (Rs 320 plus taxes); Manhattan cocktail (Rs 350 plus taxes) and Irish coffee (Rs 475 plus taxes). The cafe offers breakfast from 7 am onwards. Take a walk in the N-Block corridor. Thanks to 2010 Commonwealth Games, its thick rounded pillars were whitewashed. A new underground subway, too, was built. It’s friendly to the physically challenged. Use it to head to the Regal Cinema building. 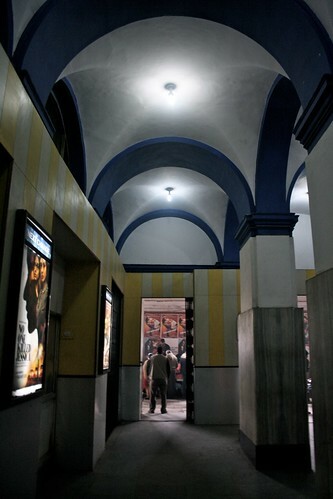 The oldest cinema in New Delhi, Regal, circa 1934, looks new; thanks to the Games’ great whitewashing project. The cinema’s box-office area added yellow panelling on its walls and blue arches on its roof. The interiors are still comfortingly old. 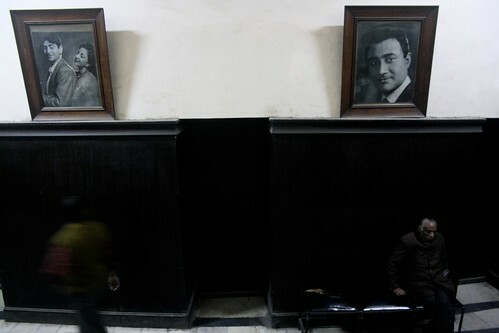 The grand staircase, the black and white portraits of film stars and the single screen, remain. 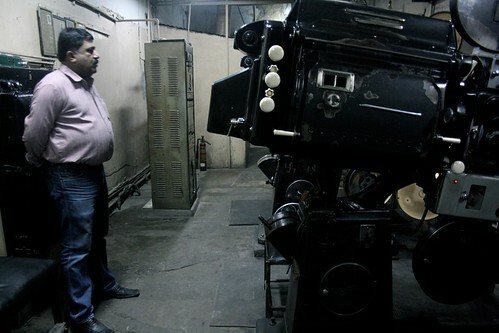 A theater with ‘boxes’ for a group of six, Regal is a rarity in the world of multiplexes. Elton John and Ravi Shankar have been here. Situated at the desolate end of the Regal Cinema building, A Godin & Co. piano shop underwent a complete makeover in October, 2010. The shop’s pianos — Grand and Upright — used to be magnificently sprawled over half the showroom; their regal splendour and teakwood dignity infusing the shop with old-world elegance. In January 2011, the look is more modern. The stone floor has given way to imitation tiles, counters have been painted bright red, and most pianos have been banished to an inner room where they lie draped in rich maroon velvet sheets. Yet, the showroom’s stately dignity isn’t lost. The centre space showcases a B. Steiner. Shoppers press their noses against the glass door to take a look at it. The shop imports around 50 pianos each year from Stuttgart in Germany. 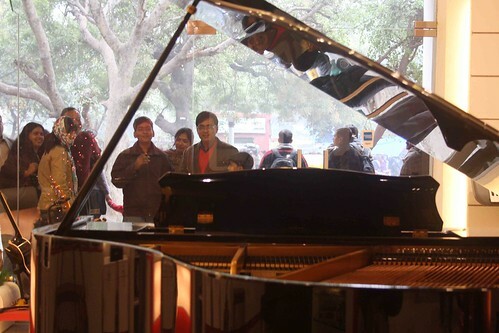 With the Grand and Upright priced at around Rs 1 lakh and Rs 50, 000 respectively, pianos are also leased out to institutions and private homes (at Rs 1,500 — Rs 5,000). 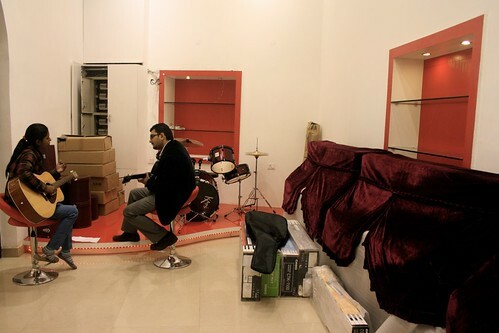 The showroom also has acoustic guitars (Rs 2,000 — Rs 12,000), synthesisers (Rs1,200 to Rs12,000), tabla sets (Rs 1,500 to Rs 5,000) and harmoniums (Rs3,500 to Rs 35,000). 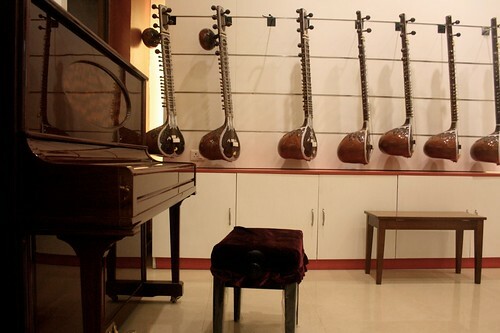 To get a sitar as living room décor, get the ‘Sitar for show’, Rs 1,000. 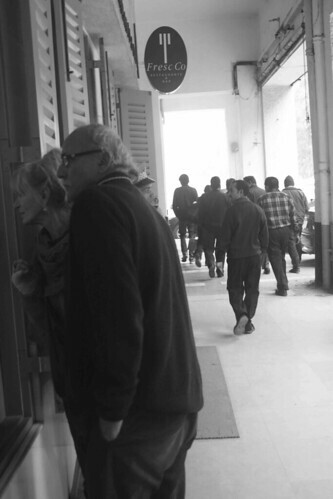 Walk to Janpath … no, not for shopping in the flea market, but to get a haircut. The weirdly named Hair n Shanti unisex salon, which has outlets in Saket, South Ex I, Gurgaon and Punjabi Bagh, opened in Janpath in November, 2010. While CP has enough restaurants, cafes, showrooms, bargain shops and bookstores, it hadn’t many salons. In Hair n Shanti, a haircut comes for Rs 350 (for women) and Rs 250 (for men). Eyebrows are done for Rs 30. Full hair colour is priced at Rs 3,000. Cross the Janpath Road and ask for the legendary Delhi Photo Studio. You will never find it. In September 2010, it shut down to make way for Fresc Co, a Mediterranean speciality restaurant. I recommend the lunch buffet (noon to 4pm), Rs 450 plus taxes. 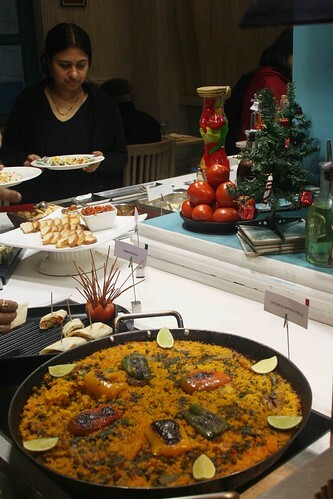 There are two pizzas, two pastas, two soups, nine salads and 12 desserts, including the main course and the Spanish rice preparation, paella. 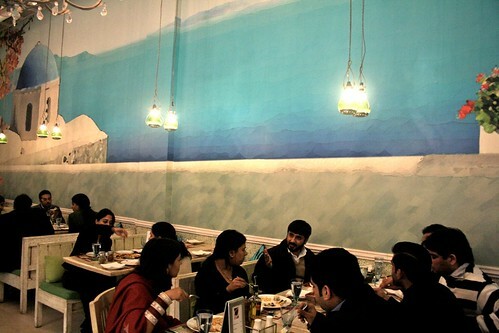 Don’t forget to look at the wall, painted with an Andalusian dome against a backdrop of Mediterranean blue. City Landmarks – A. Godin & Co.